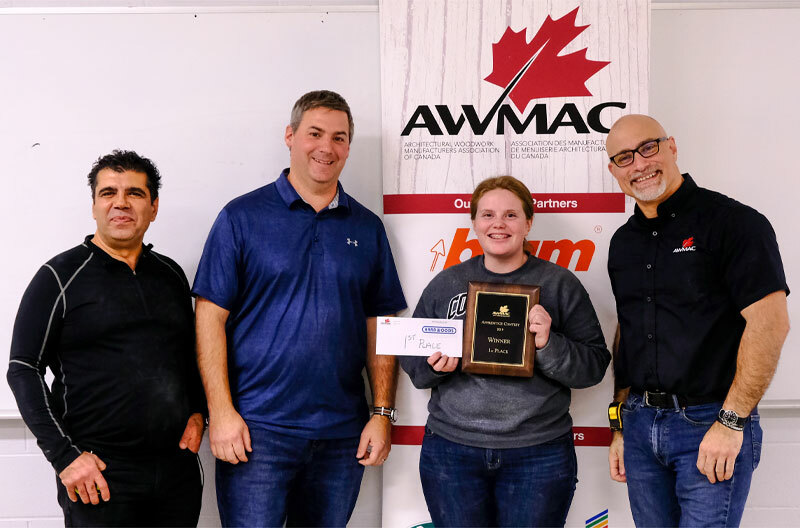 Jennifer Norman has won AWMAC Ontario’s 2019 Apprenticeship Contest. From left to right: Onorio Centofanti, AWMAC Ontario Education Director, Jody Wyman, Bendt Kitchens & Millwork, Jennifer Norman winner, Nick Anastas, AWMAC Ontario GIS Director & National GIS Committee Chair. Second place went to Dan Miller, (Humber College) and Amanda Trautrim (Crescent Cabinet/Mohawk Collge) came in third. The winners received $500, $250 and $100 respectively. Other participants includeded Mark Bocock, Nick Downward, Kaitlyn Hall, Rachel Hawker, Fernando Sanchez and Noah Skerritt. 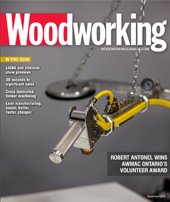 The Architectural Woodwork Manufacturers Association of Canada’s Ontario Chapter held its 2019 Apprenticeship Contest at Conestoga College in Kitchener, March 23. The event began at 7 a.m. with the contestant’s set-up, followed by orientation and safety instructions. The competition started at 8 a.m. Following judging by industry experts, the winner was announced at 6:30 p.m. 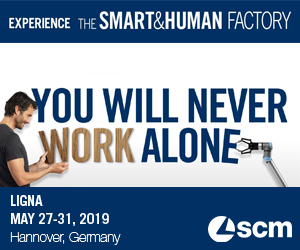 The contest is an opportunity for contestants to show off their woodworking skills and compete with their peers for cash prizes and get their name known in the industry. The winning project from the Ontario event will automatically be sent to AWMAC’s National Convention in Victoria, B.C. this May, where it will be judged for a national award. The winner will take home a cheque for $750, with second and third place receiving $500 and $250 respectively. The contest is open to apprentices and or recent graduates. Each competitor received drawings, specifications and instructions for their project 7 days in advance of the contest. The event was sponsored by Baywood Interior Millwork, Blum, Brenlo Custom Wood Products, Convoy Custom Interiors, GRASS, Hardwoods, Hettich, M+K Contracting, Pro-Ply Custom Plywood Inc., and Richelieu Hardware. A special thank you to Upper Canada Forest Products for delivering all the materials and Archmill House for cutting all materials to size and Conestoga College for hosting this year’s event.